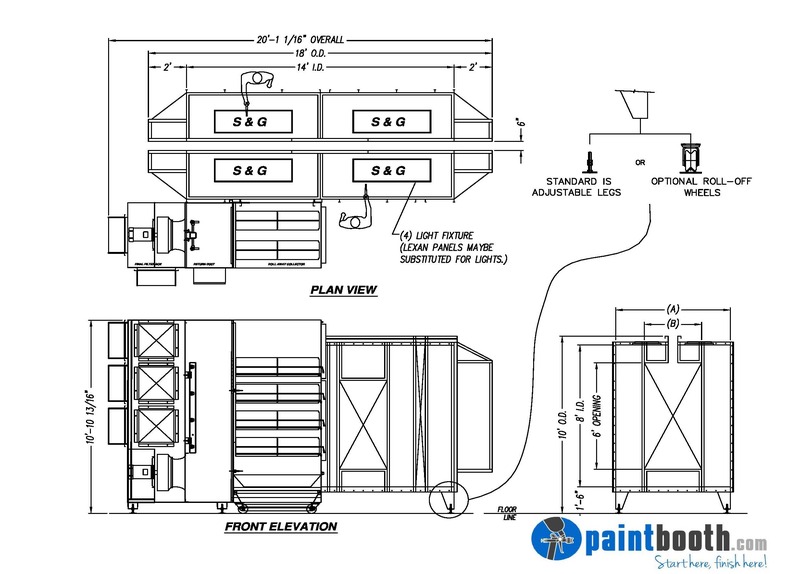 A cartridge batch powder booth uses an open front design and is ideal for small to mid-size powder applicators. To maintain clean cartridge filters, these booths are built with a purge control feature, which assures the performance of the powder enclosure by maintaining the airflow at the designed level. During operation, powder accumulates on the cartridge filters, and as the cartridge filters load, airflow decreases and negative pressure rises within the air handler. A timer then activates air purging valves that clear the cartridge filters of accumulated powder into a tray below to ensure maximum filter life. Lighting is ETL listed (Class 1 Division 2) and supplied with multi voltage ballasts to accept any voltage between 120V and 277V power. Bulbs are included. Controls include NEMA 12 UL and ETL listed control panel mounted to the side of the collector module, factory wired and tested. Automatic or manual cartridge filter pulse down mode. 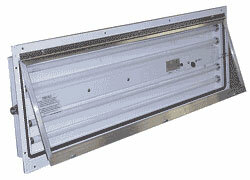 Includes a mounted magnehelic gauge for cartridge filter monitoring. Variable frequency drive (VFD) to control fan speed. Pressure switches to monitor final filter pressure and warn/shutdown if pressure exceeds set point. Fans and Motors are of spark-proof plug type construction. Air Solenoid Valve is interlocked to the exhaust fan and air supply for the spray application equipment. 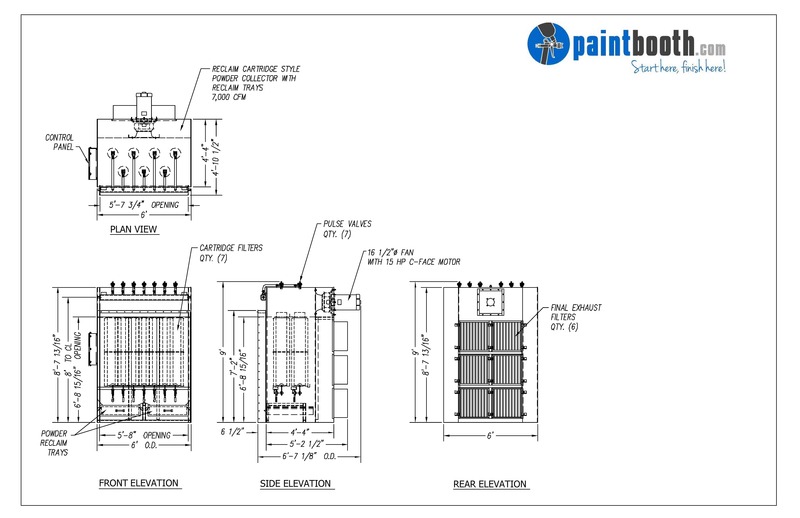 Our factory trained installation crew can get your new Cartridge Batch Powder Booth installed correctly and quickly.